A few months ago I found a lot of samples of BB creams/CC creams/foundations in my samples stash. I think I was saving them all for a mega swatch post of some sort but I kind of forgot about them. While I'm work on that again, I figured I'd review some of the deluxe samples since they'll last more than a few uses. I'm always down to try BB creams/CC creams/Cushions/foundations etc. Finding the perfect shade or coverage or formula is never easy, but the idea is the more I try the more I'll know. So, I'm always searching. These days I feel like I'm leaning more toward cushions due to convenience. However, sometimes I'll still reach for that pump bottle of foundation or squeeze tube of BB cream because it's good to have options. Today, I'm reviewing the Tonymoly BCDation All Master. The All Master version is an upgrade of the original BCDation. It has an 'air light' formula and provides longer lasting moisture and color. Let's get to know it! 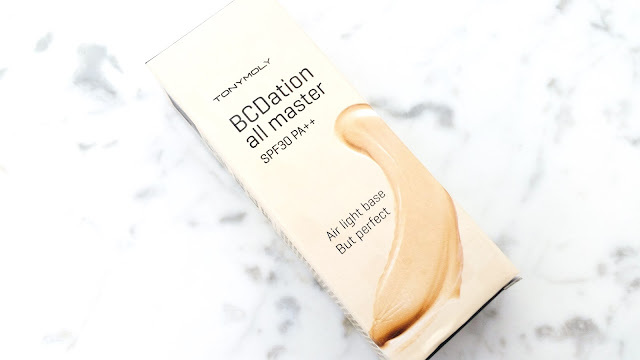 Product Description: The Tonymoly BCDation All Master is an all in one product that includes the best qualities of BB creams, CC creams, and foundation. It has sun protection of SPF30 PA++ and it claims to have anti-aging, brightening, moisturizing, smoothing, and lifting effects. 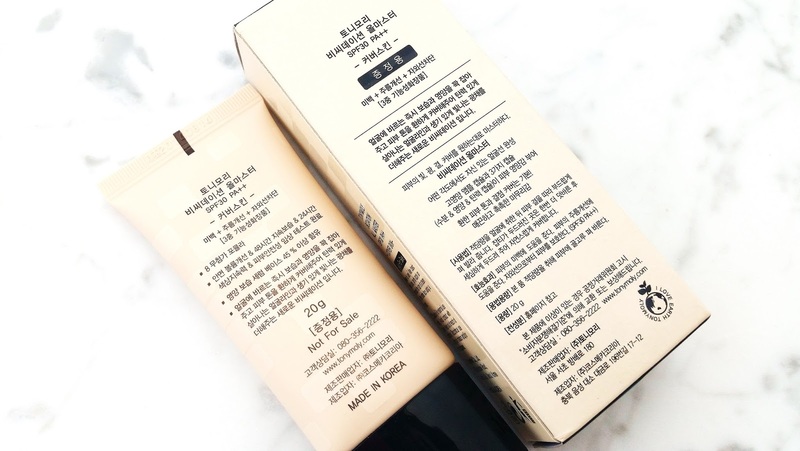 This foundation can provide the perfect color, coverage and texture for the skin. Giving it that natural glowy look. The foundation contains nutritious moisture capsules to keep the skin healthy and moisturize for a long time. To Use: After skincare, apply a bean size amount to the entire face. Spread the product out evenly with your fingers. Ingredients: Cyclopentasiloxane, Glacier Water, Titanium Dioxide (CI 77891), Water, PEG/PPG-19/19 Dimethicone, Diglycerin, Diisostearyl Malate, Propylene Glycol, Cyclohexasiloxane, Phenyl Trimethicone, Sodium Hyaluronate, Niacinamide, Zinc Oxide (CI 77947), Glycerin, Sodium Chloride, Talc, sh-Octapeptide-4, Hydrogenated Polydecene, Gelatin, Acacia Senegal Gum, Pentylene Glycol, Adansonia Digitata Seed Oil, Argania Spinosa Kernel Oil, Ethylhexyl Olivate, Anemarrhena asphodeloides root extract, Hydrogenated Polyisobutene, Butyrospermum Parkii (Shea) Butter, Mica (CI 77019), Silica, Tin Oxide, Synthetic Fluorphlogopite, Citrus Grandis (Grapefruit) Peel Oil, Silicone Quaternium-22, Tocopheryl Acetate, PEG-10 Dimethicone, Disteardimonium Hectorite, Dipropylene Glycol, Polyglyceryl-3 Caprate, Triethoxycaprylylsilane, Triethyl Citrate, Cocamidopropyl Betaine, Hydrogen Dimethicone, Cyclotetrasiloxane, Tocopherol, Adenosine, Palmitamidopropyltrimonium Chloride, Sodium Polyacrylate, Disodium EDTA, Phenoxyethanol, Caprylyl Glycol, Ethylhexylglycerin, 1,2-Hexanediol, Iron Oxides (CI 77491), Iron Oxides (CI 77492), Iron Oxides (CI 77499), Fragrance. Packaging: The deluxe sample of the BCDation comes in a squeeze tube with a twist off lid. It has a protective seal on it (see image below) that indicates it's new. The box packaging contains minimal information about the product in either English or Korean. I believe the full size product comes in a pump bottle. Scent: BCDation has a fruity floral scent. Fragrance has been added to the product. Color: BCDation All Master only comes in one shade. Although the products claims to be good for all skin colors, it really isn't. Usually, when Korean products say that they're a one-shade-for-all product, they're only accounting for the general Korean shades. Which leaves out a lot of people not in those shades. I'm kind of a NC20 shade at the moment and the product is just a tad light for me (as you'll see in the swatches). Texture: It's fairly fluid and thin in terms of its texture, almost like a liquid foundation. Michelle's Thoughts: I think I was waiting for a wow factor with this product. When they said it's a 3 in 1 product (BB cream + CC cream + foundation), I thought it was going to take the best part of each and combine it all together. However, that wasn't really the case. BCDation overall felt like a liquid foundation to me. The product promises anti-aging, brightening, moisturizing, smoothing, and lifting effects. I felt the moisturizing effects, saw some of the brightening effects, and maybe a bit of the smoothing effects as well. However, all were temporary and I didn't get any lifting or anti-aging effects. Although, I didn't think I was really going to see them either. The liquidy texture of the BCDation makes it easy to apply. I can apply it with my fingers for a light coverage or apply it with a damp sponge for a more medium coverage. Unfortunately, this product can settle into fine lines and can transfer easily as well. Even if you apply primer beforehand and powder after, it can still happen. If you have an oily T-zone like me, you might find the product breaks down easily around the T-zone after 3 or 4 hours of wear. The coverage for this BCDation is light to medium. Although, it's slightly buildable as well, you'll want to be careful as it can cake up or look unnatural. This product only comes in one shade, which is rather unfortunate. Although BCDation All Master is advertised as good for all skin types, shade wise, it would probably only be good for those under NC25. For me, it's just a tad light but I can still make it work with a bit of bronzer. Final Thoughts: I think Tonymoly might have discontinued BCDation All Master. I can still find BCDation for sale, but no where does it talk about the All Master. 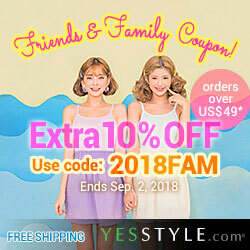 I can't find it on Tonymoly's official website either and that's usually a good indicator of what they currently carry. Anyways, I'm okay with it being discontinued because I don't think I'd get the full size product. There are just too many cons keeping me away and not enough pros to make me stay. I'm glad I tried this because it was on my to buy list. Now I can cross that off and move on to better things. Disclaimer: This product was purchase by me. All opinions are honest and my own.